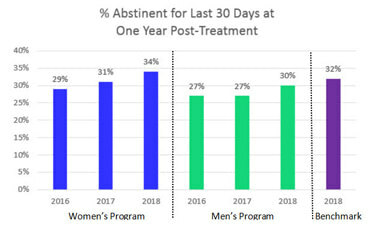 Treatment centers enrolled in Vista’s INSIGHT Progress Monitoring & RECOVERY 20/20 outcomes research are generating a wealth of highly-informative data. Since Vista’s mission is to help treatment centers improve their outcomes, Vista digs deeply into each center’s results to develop data-driven recommendations for each treatment center. 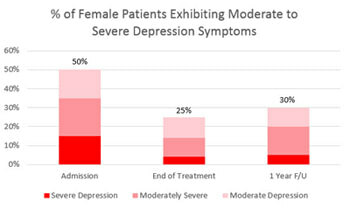 These analyses enable Vista to pinpoint areas of strength and make detailed recommendations regarding opportunities for improvement in the annual Strategic Analysis report created for each treatment center client. The following case study presents a simplified Strategic Analysis. Apollo Treatment Center is a fictitious treatment center serving male and female young adults in separate 28-day residential programs. They’ve participated in Vista’s Progress Monitoring & Outcomes Research programs for three years. 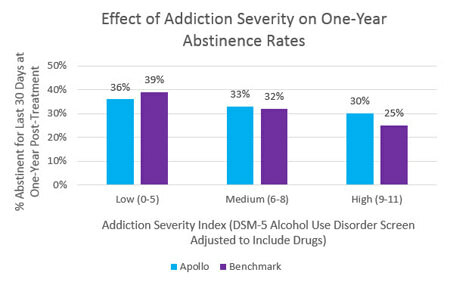 During this time, Apollo’s post-treatment sobriety success rates have been steadily improving, with the women’s program consistently outperforming the men’s program. 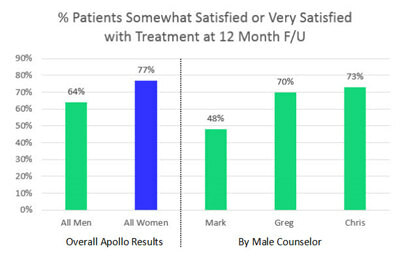 Apollo’s overall results equaled the benchmark of 23 similar programs for the first time this year. Why Are the Men's Results Worse Than The Women's? This is just a small sample of the type of information Vista reports to its RECOVERY 20/20 clients. If you'd like to see a more in-depth example of a Strategic Analysis report, please send an email request. If you are excited by the opportunity to generate hard data on how your patients are doing after treatment and use your results to continually improve, please contact us now!